Ever since Apple dropped its exciting system-wide voice activation Siri along with the release of the iPhone 4S, many have questioned as to why it is exclusive to the company’s latest and greatest smartphone offering. Apple stated that the iPhone 4S was the only iOS device capable of utilizing the new feature – much to the bemusement of the on looking technology world. We knew that the innards of the device were different – dual-core A5 chip, 8 megapixel camera, 1GB of RAM and all. But, up until now, we’d all presumed Apple’s claim was a not-very-covert ploy to increase sales of its new device – which by looking exactly the same as its predecessor, needed a kicker for those not so fussed about hardware specs. iFixit has set the record straight, though after scrutinizing the new parts within the iPhone 4S. The proximity sensor on the device has been tweaked to ascertain how far away from your face it is at all times. 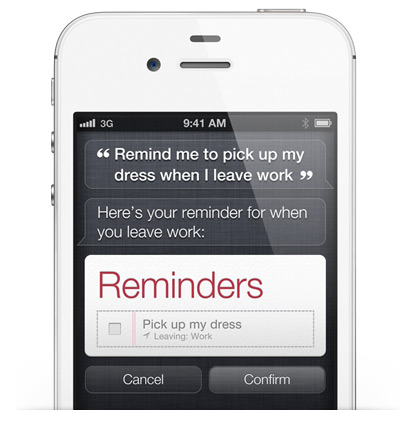 Whenever the screen is activated, so is the infrared sensor – allowing Siri to be ready and waiting to take your orders. Without the new proximity sensor, the ‘full’ Siri experience cannot be achieved. Considering the many inroads seen over the last few days and weeks – with successful ports through to the iPhone 4, iPod touch, iPad 2 and even the iPhone 3GS – it was hoped that, with a little more development, that the methods would be "leaked" through to the public. While it’s important to remember that Siri could well still appear in the wild for other devices, but as of now, we know for sure that it definitely will not be an all-singing, all-dancing carbon copy of the real experience. If you’re a Siri fan, and you were holding out for a potential port for your older device, you may now want to consider your options. It’s a shame that Apple tends to selectively add and omit small features which make preceding versions seem a lot more outdated than they actually are. Whilst that isn’t strictly the case here – the iPhone 4 can still hold its own vs. most of the market – Siri is the word on everybody’s lips just now, and the fruit company will continue to throw Siri into consumers’ faces until the majority have adopted.